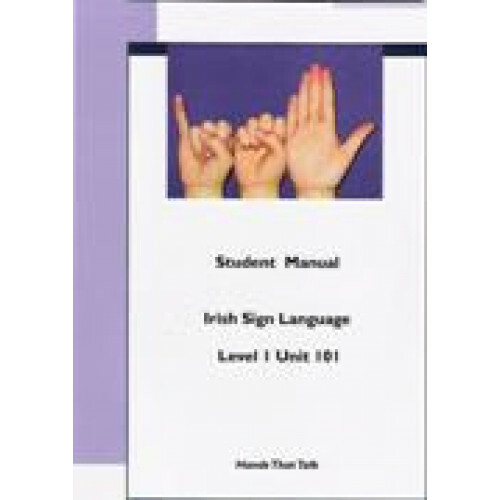 This manual is for use in the classroom and covers topics of Irish Sign Language in unit 101 course. Topics include: The Alphabet, Meeting People, Numbers, Weather, Transport and Directions. Each Topic includes a homework section. 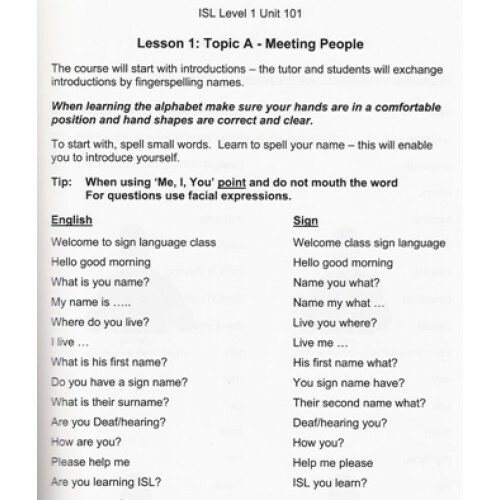 This manual is for use in the classroom and covers topics in Irish Sign Language in unit 102 c.. 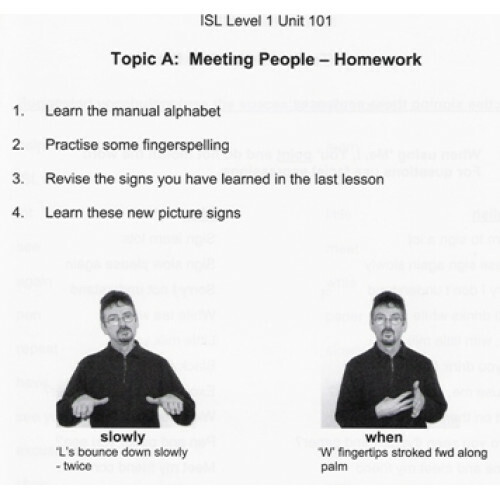 This Manual is for use in the classroom and covers topics Irish Sign Language in unit 103 course. To..